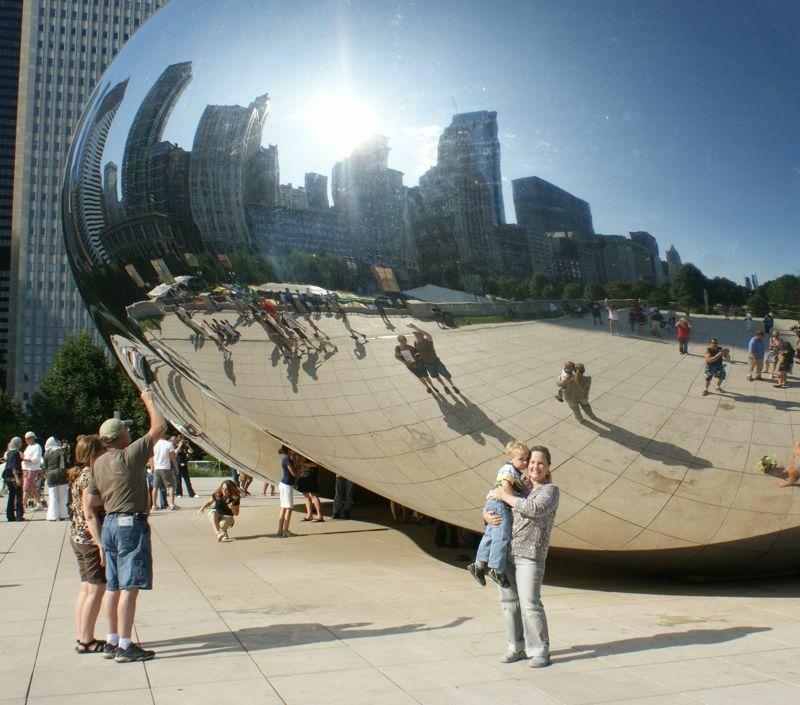 Home Family A Giant Shiny Jelly Bean! 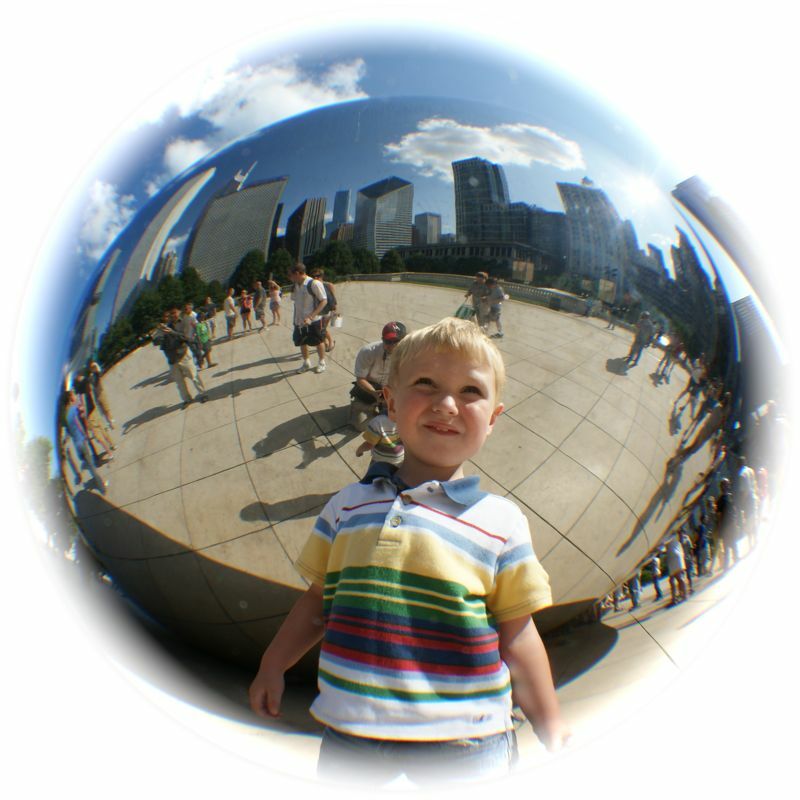 A Giant Shiny Jelly Bean! 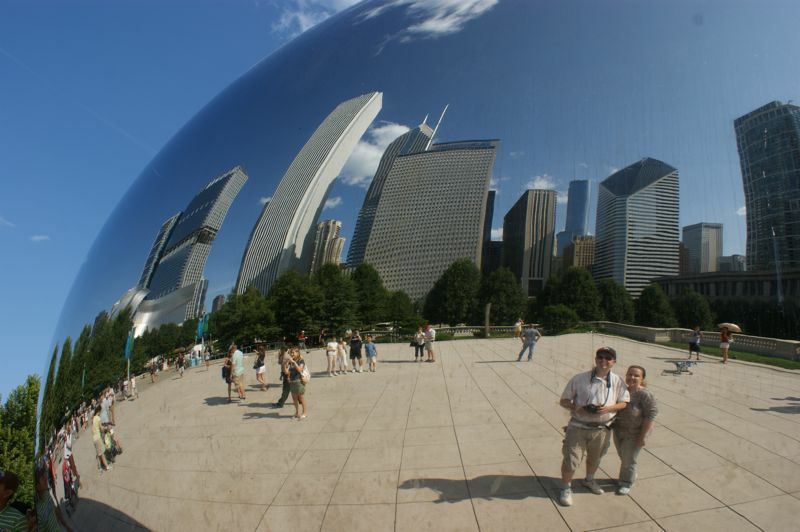 Our reflection in the Giant Silver “Bean” – the main attraction. Sara and I in a rare moment with few people around, it was VERY crowded! 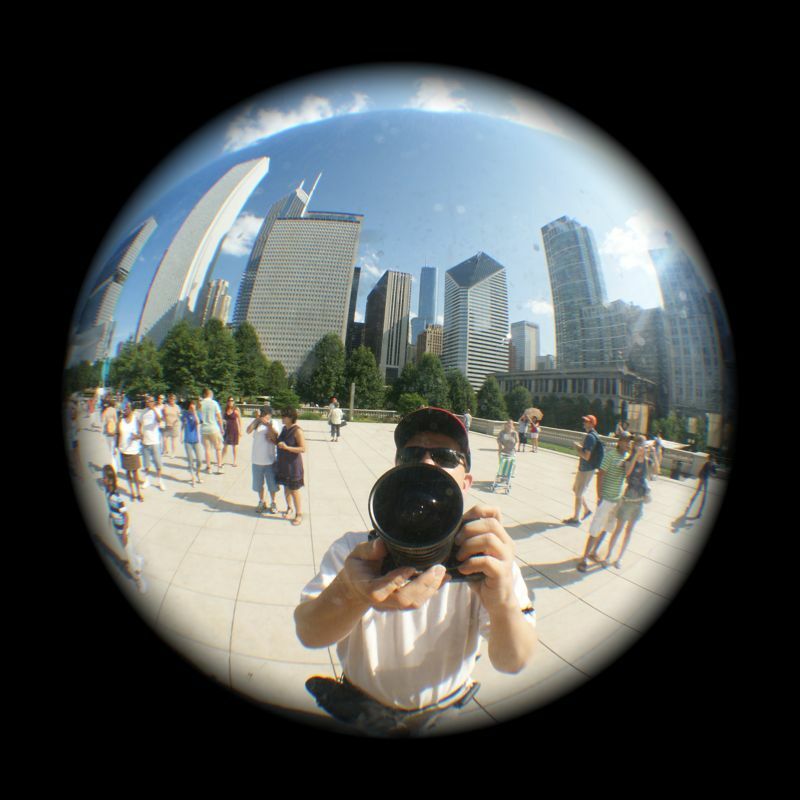 A fish-eye lens was almost redundant here! Can you find Sara and Luke? 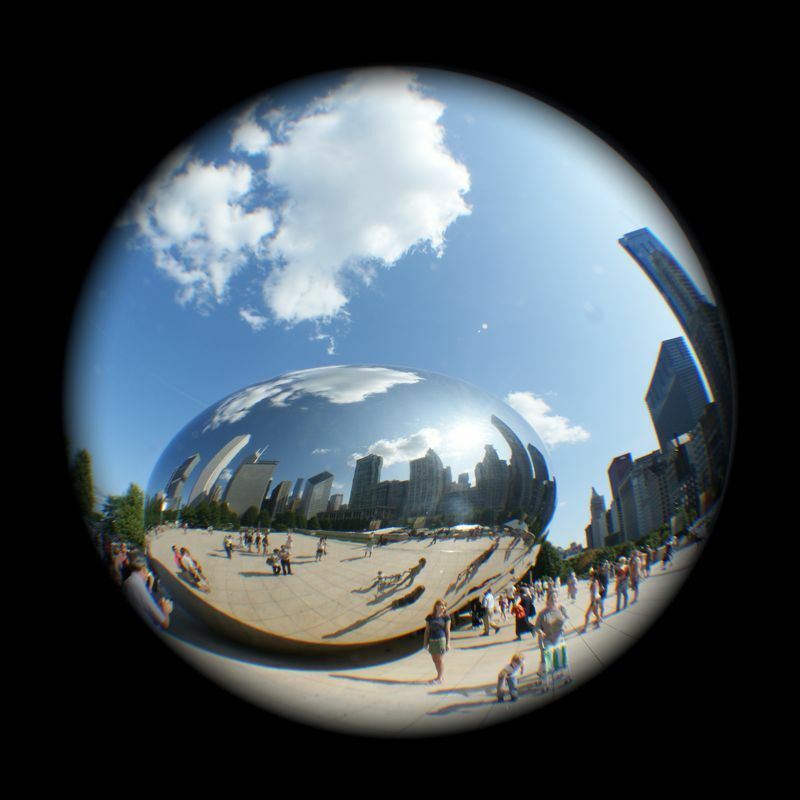 Another fish-eys shot of the Bean. 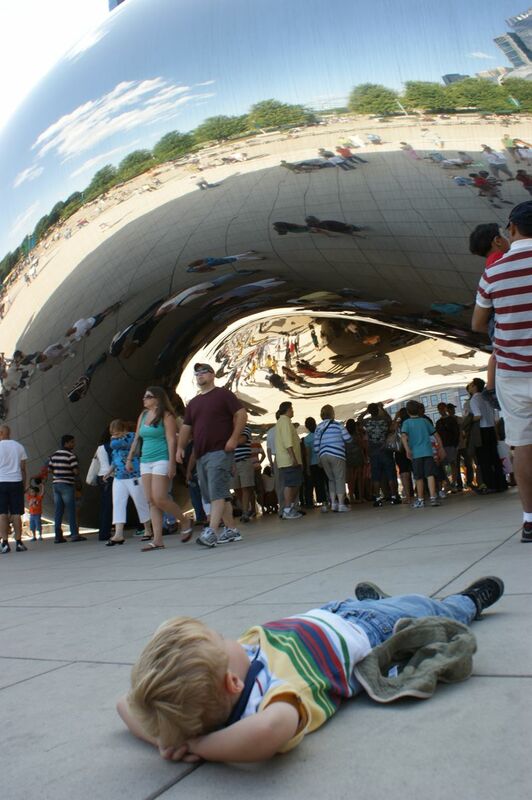 Luke checkin’ out the Bean! 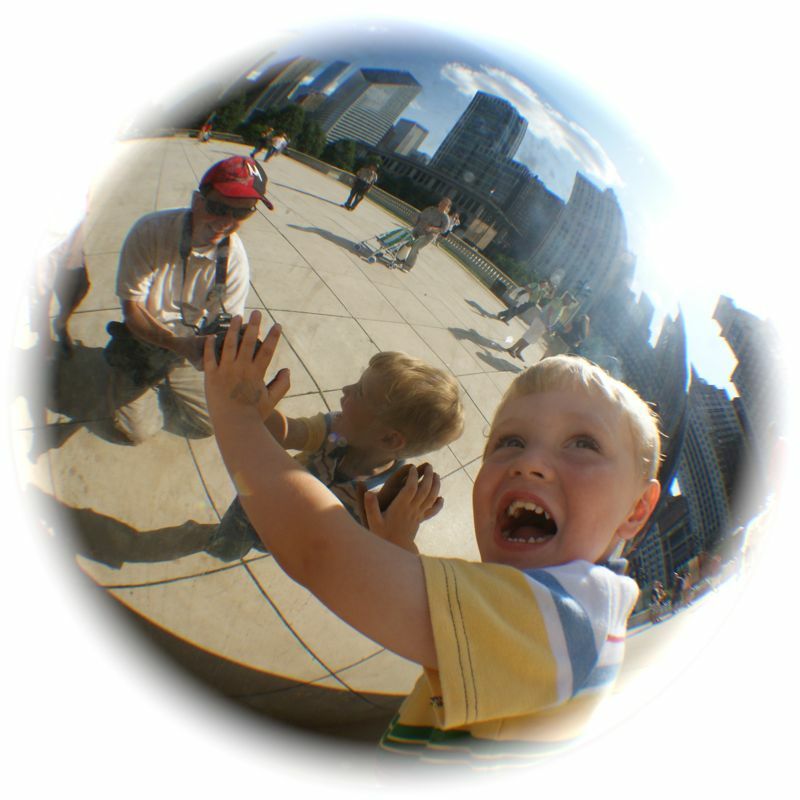 With the fish-eye lens I could get the whole Bean in the picture, kinda cool. Luke lays down and just soaks it all in. Luke underneath holding the whole Bean above him! 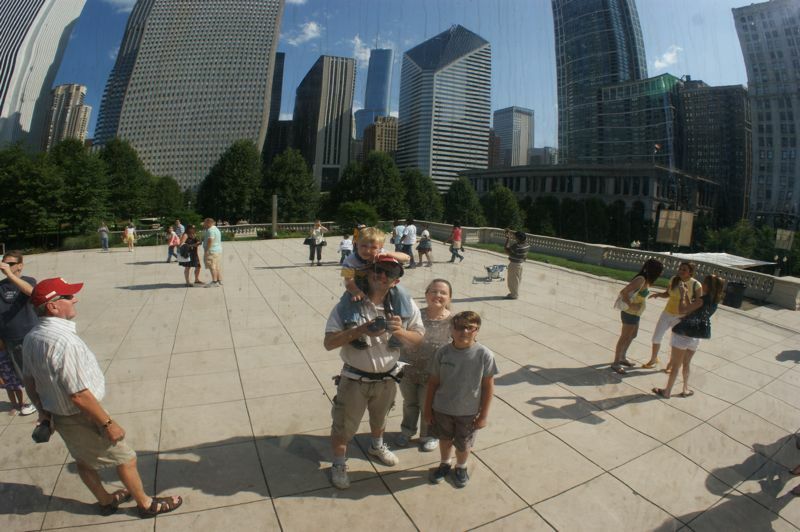 Mommy and her little bean in front of the Bean! 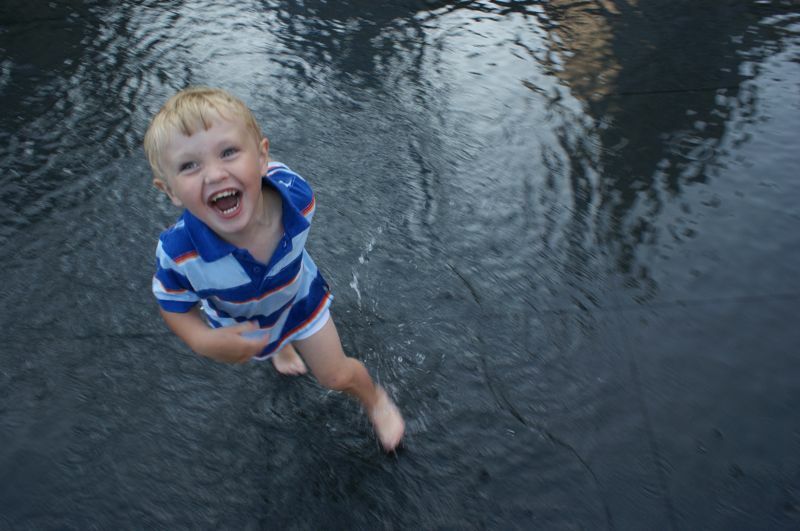 Next we headed over to the fountains where the kids can run and play in the water. It was pretty cool. Hundreds of kids, running and splashing, and laughing. It was very relaxing and seemed to hearken back to the days of community pools and parks – something we don’t have much of today. It was nice. 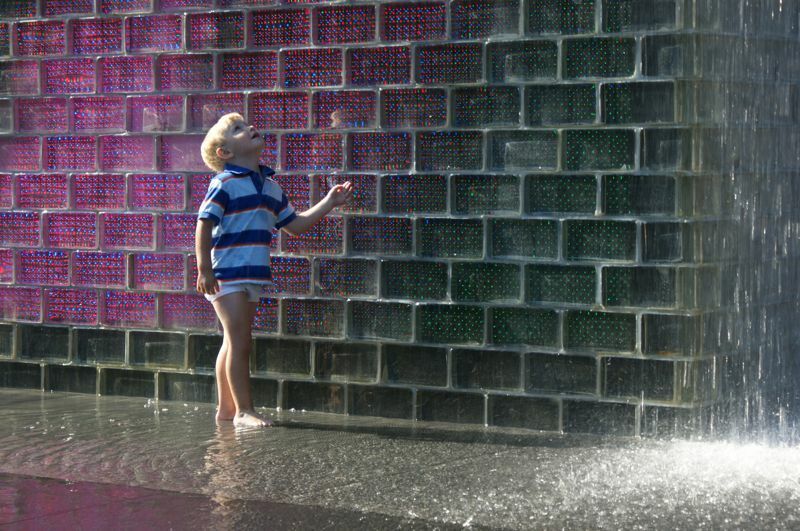 Luke was mesmerized by the video displays behind the water walls. It was all pretty high tech and simple at the same time. I love this picture. Click the image for a bigger viewing. Look at the JOY in this kids face! He chased me around for what seemed forever. Click for bigger image. Be The First to Get DiscipleTown! Great shots looks like you guys had a ton of fun. Was that Luke in his underwear in the fountain? Look forward to all the great pictures I know you will post when you get to Colorado as well. .-= Todd McKeever´s last blog ..Relationships-Great Gifts =-. 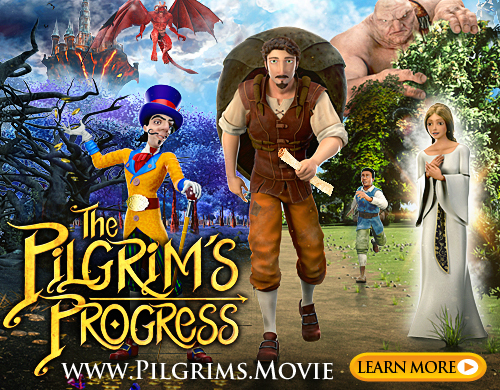 .-= Steve Tanner´s last blog ..Winner announced in Pepsi Natural "Au Natural" Giveaway Pack contest =-.